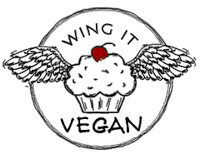 Wing It Vegan was born in 2008. In the beginning, my posts were full of silliness and wacky themed food. Oh, wait. That's still going on! 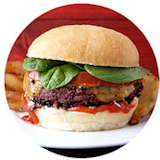 Here are a few interesting tidbits about Wing It Vegan. Or maybe they are mind-numbingly boring tidbits, who knows? Why "Wing It" Vegan? Recipes are awesome and I have a well stocked cookbook shelf, but I love to play with food and improvise in the kitchen, hence the name of my blog. Sometimes winging it works, other times I end up with an inedible disaster and a massive mess of dirty dishes. But that's OK, there are not too many kitchen catastrophes that cannot be turned into a sweet truffle or a savory croquette. Exhibit A. Exhibit B. Exhibit C.
Getting Around. The recipe index is a good place to start. There you will find all my recipes neatly organized by category. 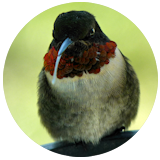 If you think birds are cool, you can check out the photo gallery of some of the birds that visit our back yard regularly. Or maybe you're looking for something specific and you can use the search box right there on the sidebar. If you would like to send me some questions, feedback, love letters, hate mail, or ancient Egyptian curses, you can use my contact form to drop me a note. Halloweegan. Ah, Halloweegan. 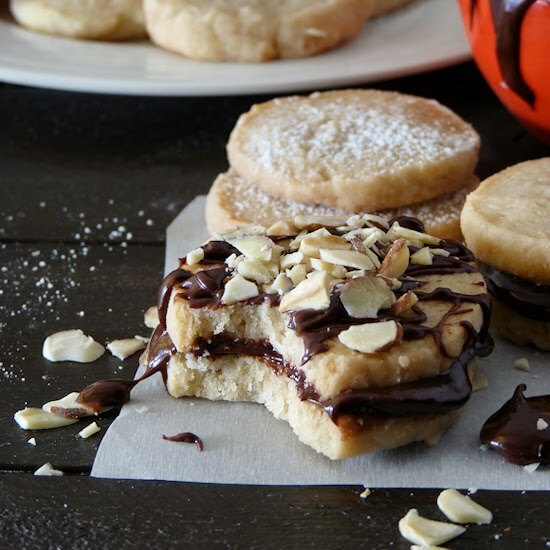 A time of insanity and yumminess. Halloweegan is basically a countdown to Halloween that consists of me baking and cooking themed dishes almost every day in October until I am wheeled out of the house on a stretcher. I haven't been as obsessed with Halloween in the past few years, but I kind of lost my mind during Halloweegan 2008 and I made way too many vegan Halloween treats. Our kitchen was invaded by ghosts and vampires and spiders and monsters! It was insane! 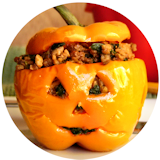 Some of the Halloweegan blog posts feature full recipes (sometimes even video tutorials) and others include general guidelines to assemble your spooky treats. If things look a little too pastel for Halloween it's because I don't usually use artificial food colorings and it's hard to get super bright colors with natural dyes. E.A.T World. E.A.T World was a fun blog challenge that started in January 2010. The objective was to travel the world far and wide, from the comfort of our own blogs, cooking up meals and baking up goodies from all over the globe. 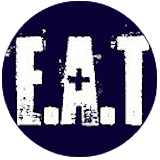 E.A.T World introduced me to new ingredients and cooking techniques one blog post at a time! 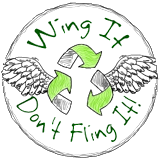 Wing It, Don't Fling It! A lot of us food bloggers tend to share only (or mostly) our kitchen victories while keeping the cooking disasters to ourselves, but every now and then I like to show you cooking failures that I recycled into something delicious. These Chocolate-Pumpkin truffles and these Brownie Truffles, for example. The Wing It, Don't Fling It! challenge also applies to leftovers. I really dislike eating leftovers, unless we're talking about something fabulous like Thanksgiving dinner leftovers. On the other hand, it kills me to throw away perfectly good food! What to do? Recycle! Check out my recycled Cream of Fajita Soup, and this Spanish Tortilla made with repurposed leftover stir-fry veggies. This blog was originally hosted at blogger.com. Then a couple of years ago I switched to a self-hosted Wordpress blog. I did not like it. I migrated back to my dear Blogger a year later but lost a few things in the process, including photos, links, and random characters. I regret nuttin'.